The Tetrarch light tank was not designed as an airbourne tank that could be delivered by glider behind enemy lines but this was what it was used for. 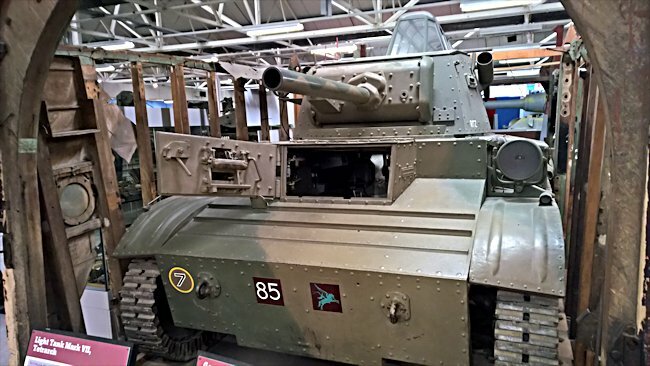 In 1938 Vickers Armstrong limited used their own money to develop the Tetrarch as the next leap forward in light tanks. 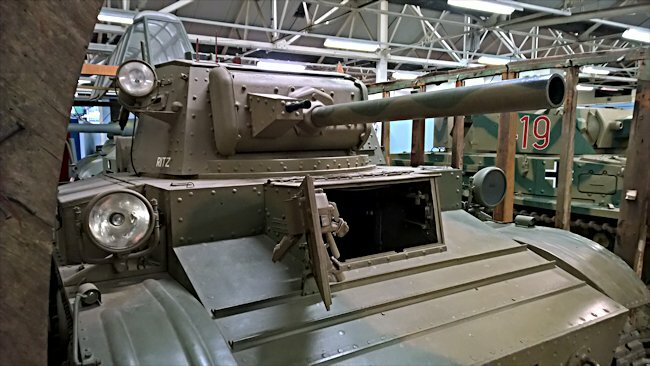 It was fitted with a 2 pounder anti-tank gun rather than just a machine gun like on the Mark VIB light Tank. They showed their latest creation to the War Office who immediately placed an order for 70 tanks that was eventually increased to 220, but not all that order was ever completed. The British Army decided that it did not want light tanks in their Armoured Divisions in the North African desert. They had seen how badly light tanks had performed in the Battle of France. German bombing of Vickers-Armstong's delayed production of this tank. Twenty Tetrarch tanks were shipped to Russia under the lend-lease arrangement. Six Tetrarch tanks along with six Valentine tanks formed part of 'B' Special Service Squadron that took part in an amphibious landing near Diego Suares as part of the British invasion of Vichy French held Madagascar on 5th May 1942. Three of the Tetrarch tanks were knocked out by French Artillery. The invasion was successful and denied the Japanese an island base in the Indian Ocean near Africa. 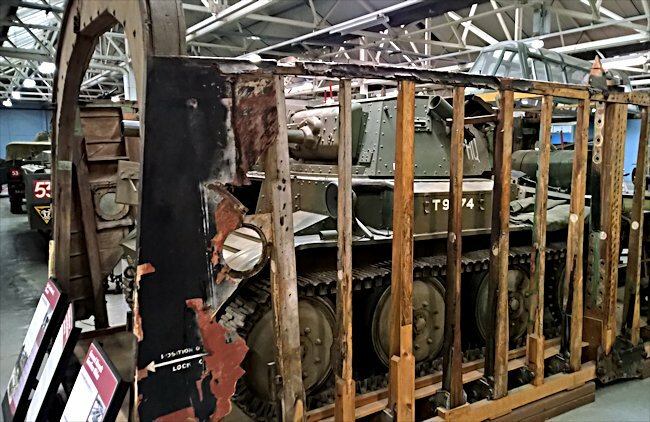 Because of the small size of this tank it decided that it would be used in a support and reconnaissance role for the British Airbourne units being dropped behind enemy lines on D-Day. The 5th Parachute Brigade were dropped on the chosen landing zone first so that anti-glider obstacles could be removed. Large Hamilcar gliders then descended onto the drop zone and unloaded their tank cargo. In the photo above you can see what the tank would have looked like in side the Hamilcar glider. Their task was to protect the eastern seaborne beach landings, reconnaissance, hold important bridges and destroy costal artillery batteries until relieved. The tanks steering system was unusual. Most tanks steered by skidding the tracks. The Tetrarch steers by adjusting the angle of its road wheels and bending the tracks to form a curved path. It could cause the tracks to be thrown off if it was not done properly. It could go very fast for a tank of WW2. Its top speed was 40 mph (64 km/h) on roads, 28 mph (45 km/h) off road. If it came across a bigger opponent it could maneouver fast to get out of trouble. The tank was armed with a 7.92 mm Besa machine gun which was used to give the paratroops covering fire in Normandy when attacking strong points. Where can I find other surviving Tetrach Light Tanks?